Jiefang Park, whose predecessor was Western Trader Turf for foreign traders from Britain, France, Russia, Germany, Japan and Belgium, is located at northern part of Jiefang Avenue, Hankou. It was built from 1953 to 1955 and opened to visitors on May 16,1955, which was the sixth anniversary of Wuhan's liberation. 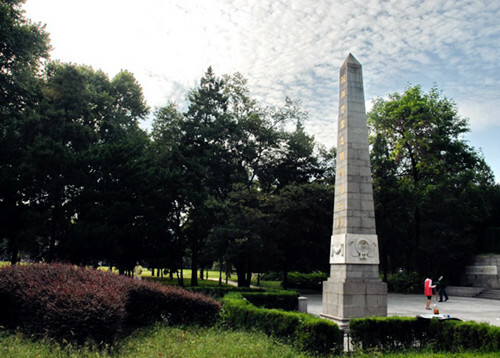 That's why it was named ‘Jiefang (Liberation) Park'. 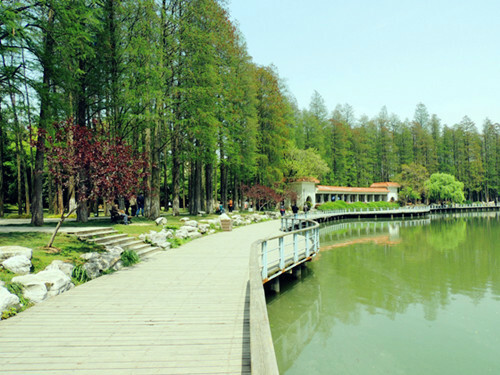 As one of the biggest natural ecological park it covers 460,000 square meters. 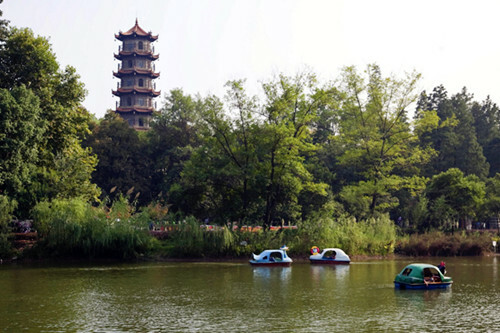 There are different garden scenes such as plum blossom hill, sweet-scented osmanthus hill, cherry blossom hill, miniascape garden and Chinese famous tower garden and so on. It also provides visitors with modern entertainment items such as cinema, tennis course, swimming pool, bowling alley, boating, Ferris wheel, artificial spacecraft, flying blanket, Three Stars revolving chair, super swing and a program to roam the space and so on. Besides, there are corresponding teahouses, service network for food and drink and business.